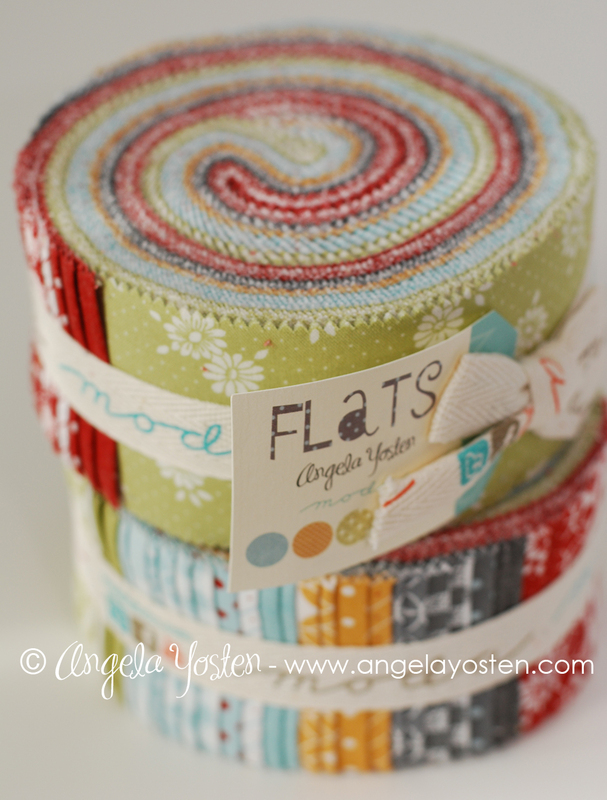 Fat Quarter Shop came up with this cute and quick free pattern called Jelly Roll Jam. 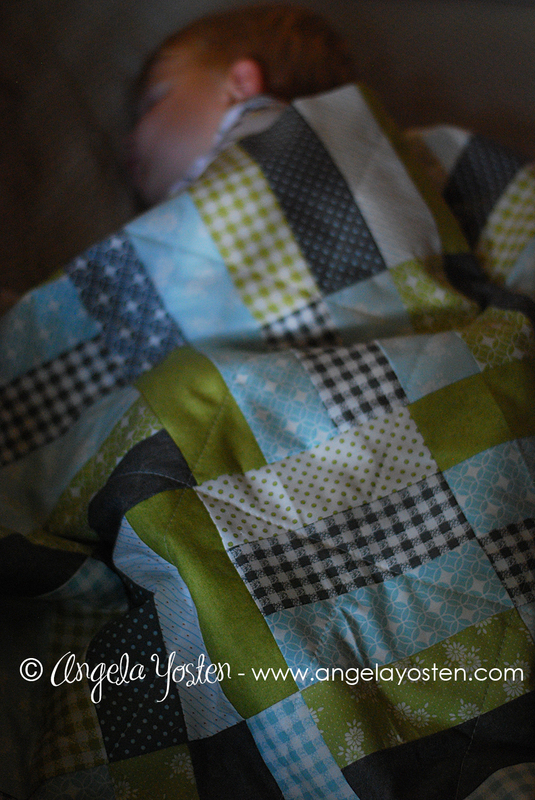 You get 2, TWO, baby quilts from just ONE Jelly Roll. I chose to use the fabric collection, Flats by Angela Yosten for Moda Fabrics. For the quilt shown I used the green, blue and grey colorways in the group. The quilts measure approx. 36 1/2" x 36 1/2" and are perfect size for a sleeping baby. 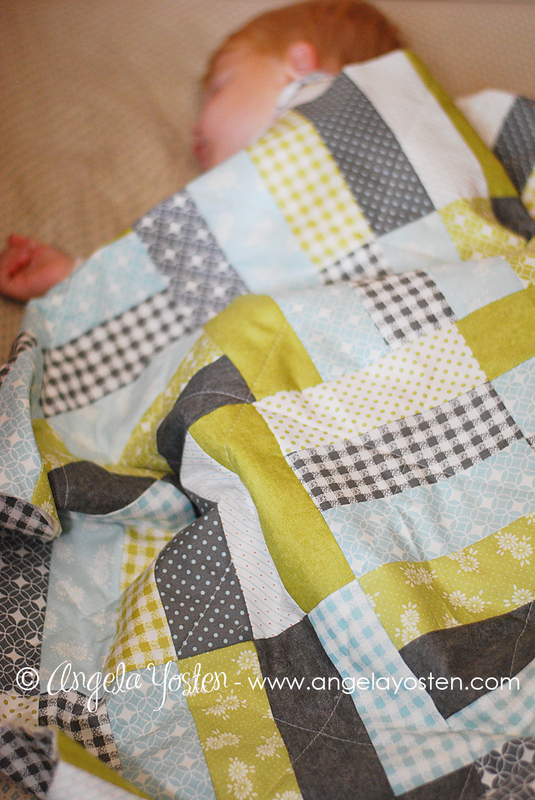 The great thing about these baby quilts is that they are small enough that you can easily do your own quilting with your sewing machine and walking foot. 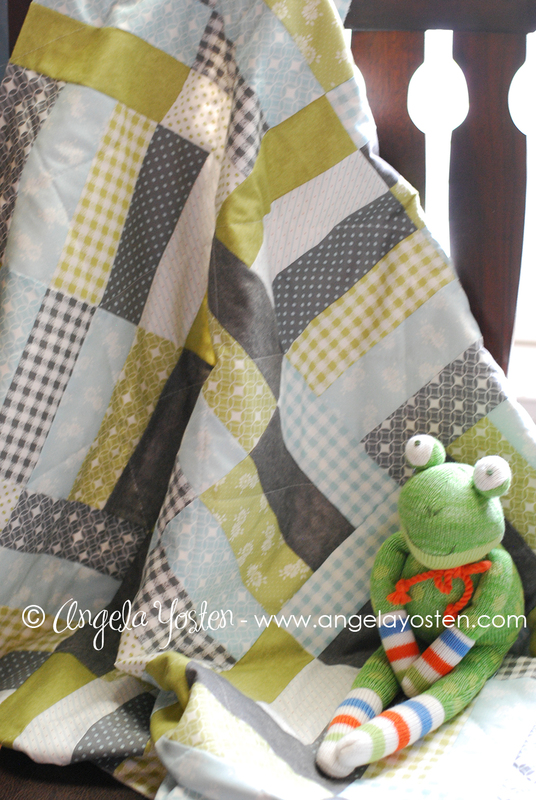 I chose to mimic the rectangle shapes by simple stitching straight lines across the quilt at an angle. The pattern is super easy to follow. The girls over at Fat Quarter Shop even put together a You Tube video that you can follow along with when making your own baby quilts. See how many you can get done while your baby is sleeping... shhhh... lights out! 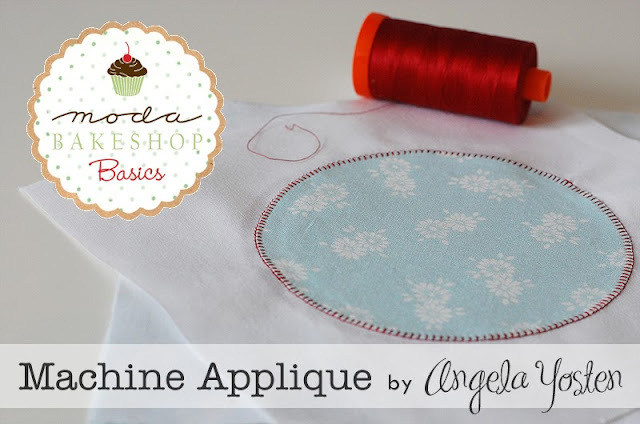 Come join me today on the Moda Bake Shop as I give my quick tips on machine applique. Be sure to stay up to date with all of the Moda Bake Shop Basics tips and tricks and learn something new! I am so excited to be a part of this years Craft Book Month hosted by Craft Buds. This is such a great blog hop because there are so many books out on the market and it is always nice to see a sneak peak of some of the projects that are in them and what people are making from them. 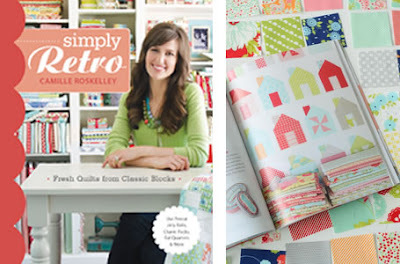 Currently, I am reading and planning a quilt from Camille Roskelley's new book, Simply Retro. 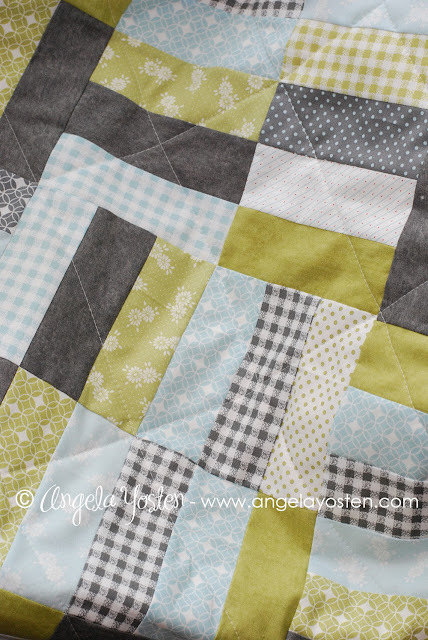 I love the little houses in this quilt... so cute! 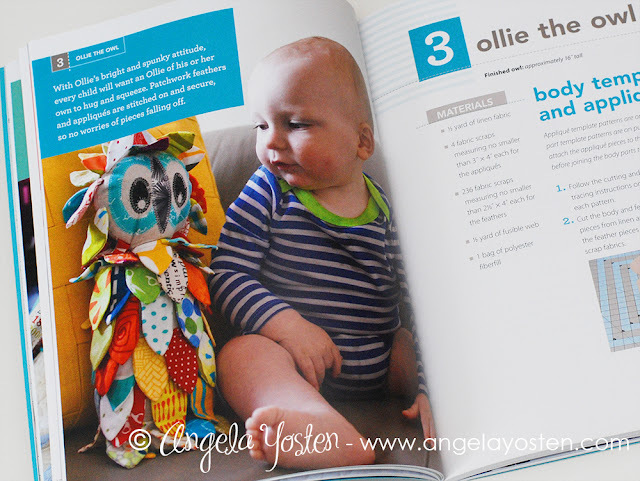 This month happens to also be the release of my newest book, Sew Modern Baby, so obviously, I just had to share about a project in it. 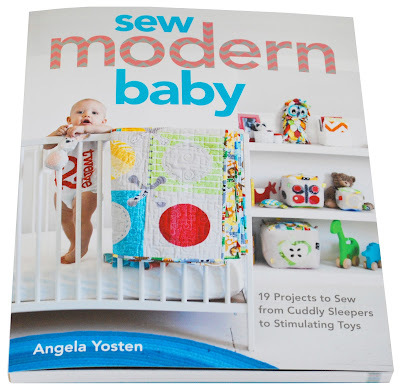 Sew Modern Baby is a modern take on projects for baby and mom. High-contrast fabrics were used to educate children from infancy. Mixed with accents of linen fabrics for the heirloom quality that can be passed down for generations to come. When designing the projects for my book, my mom gave me an owl that my grandmother had for a very long time. 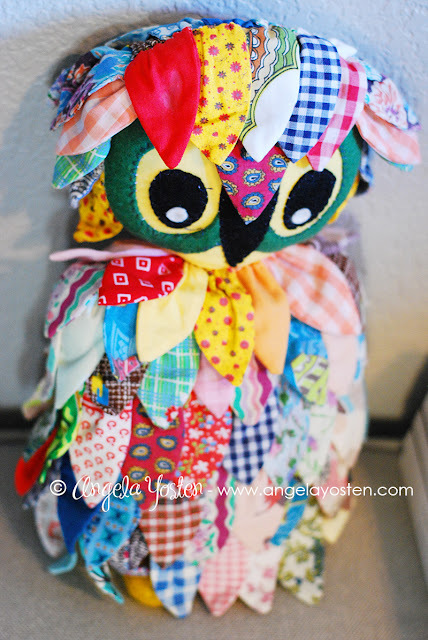 I am not sure if this owl was made by my grandma or my great granny, but it is old. My grandmother collects owls and is something I will always cherish. I can just imagine that the fabrics used on this were from old tattered clothing and every piece is hand stitched on. 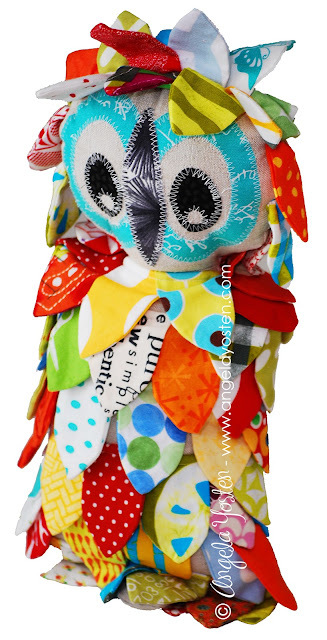 This inspired me to create a smaller spunkier version of my grandma's owl for the book. One that was all machine stitched and the feathers were double secured so little hands couldn't rip them out. Ollie was born and I love the way his little feathers just flock about. Each one has their own personality and combined make up this younger spunky toy that baby's can enjoy. Also be sure to link up your craft book project at Craft Buds from your blog or Flickr account, and enter to win prizes. Winners will be announced on Tuesday, October, 1!